The Museum of Industry’s nine locomotives represent all of the power sources that have so far been used to run a railway: steam, diesel, gasoline and electricity. We have two of the oldest surviving locomotives in the world, Samson and Albion, and some interesting examples of small industrial engines from the twentieth century. The railway was essential to link Nova Scotia to the rest of Canada for the transfer of goods and people. Locomotives were often necessary tools for large manufacturers as well. 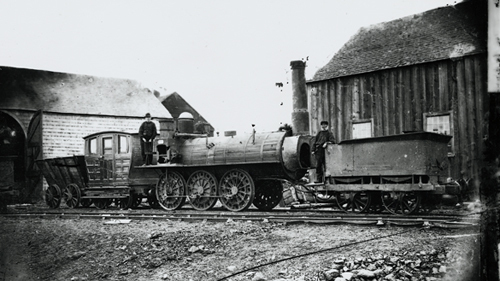 Nova Scotia’s first rail line, the Albion Railway, was only about 10 km long, but it helped get Pictou County’s coal to market.